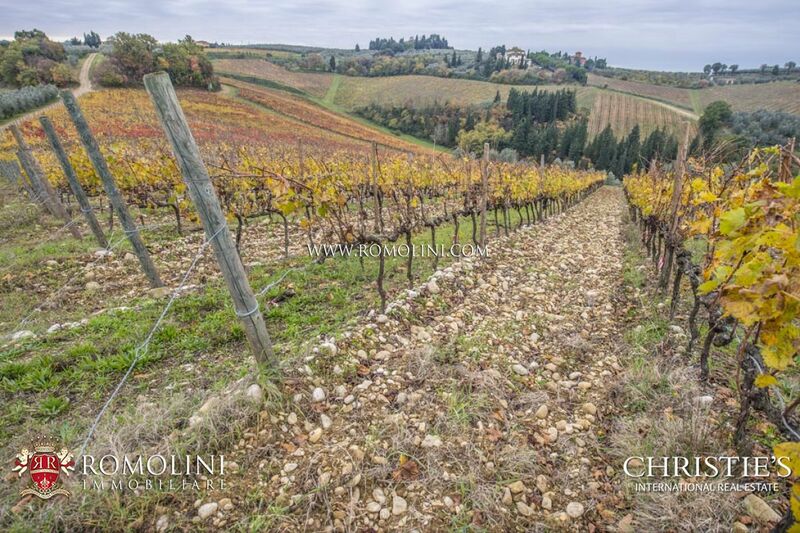 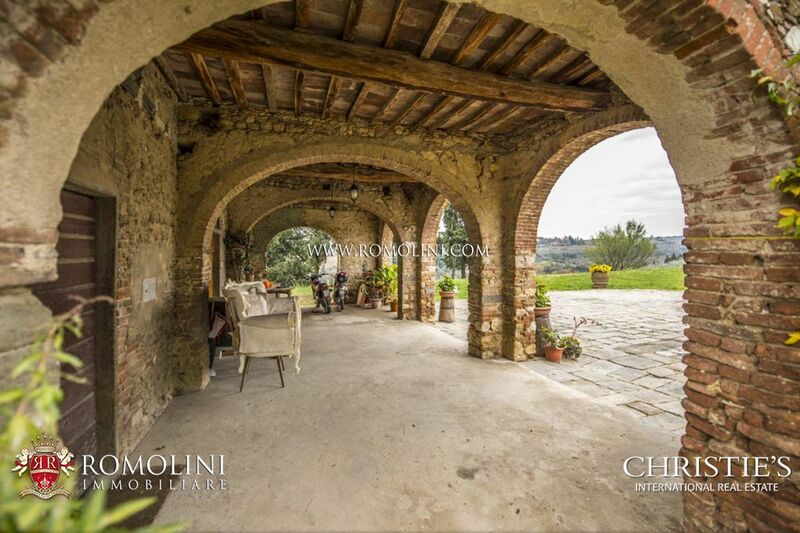 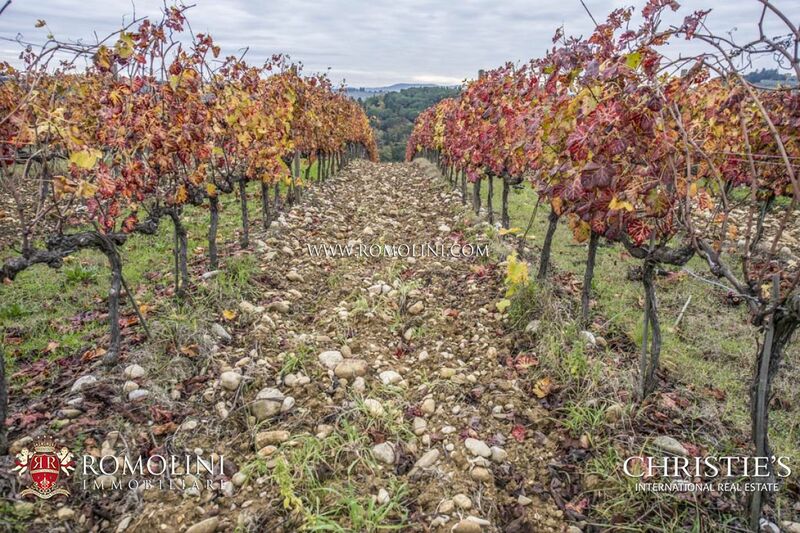 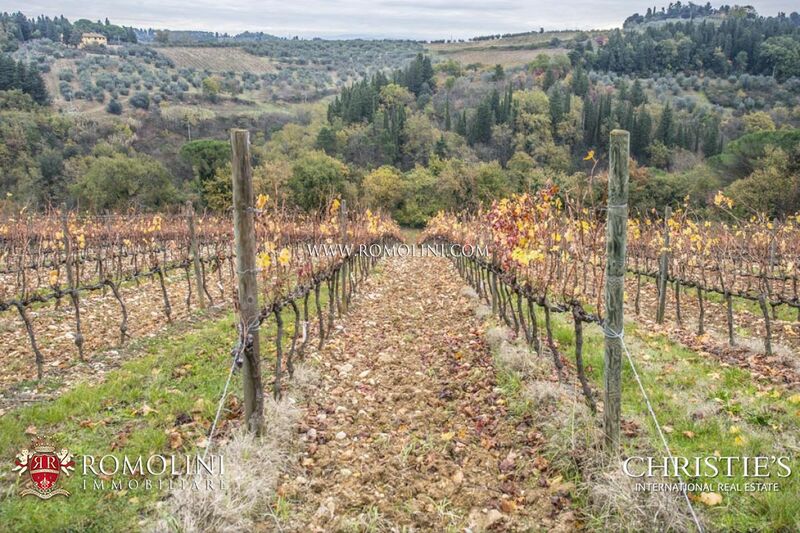 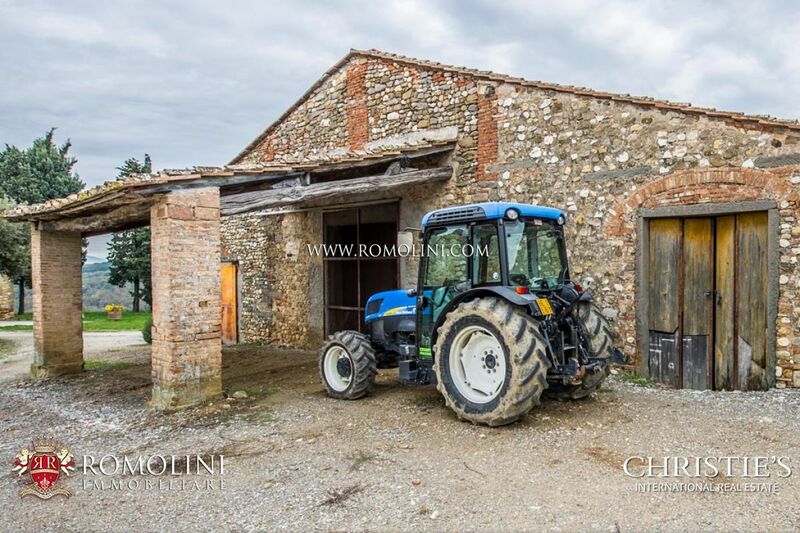 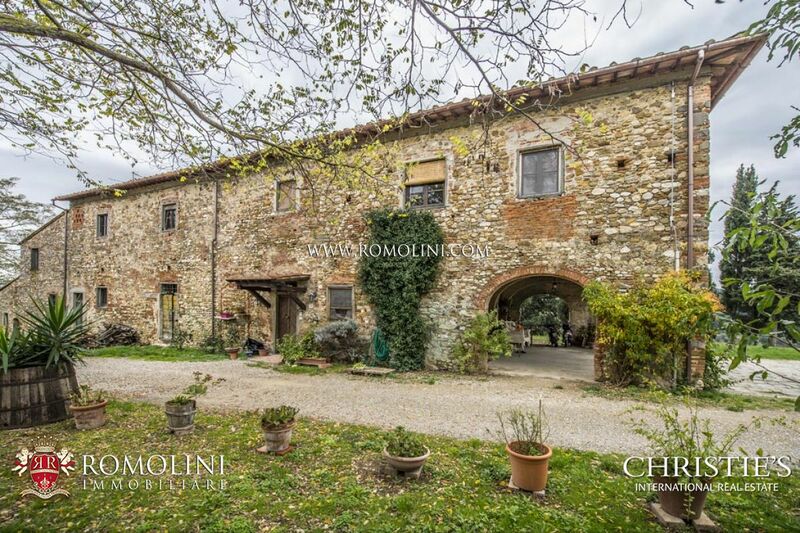 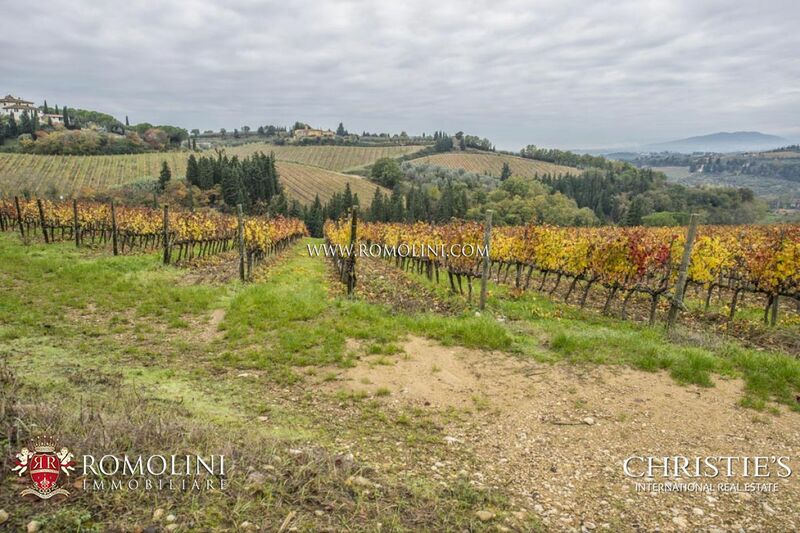 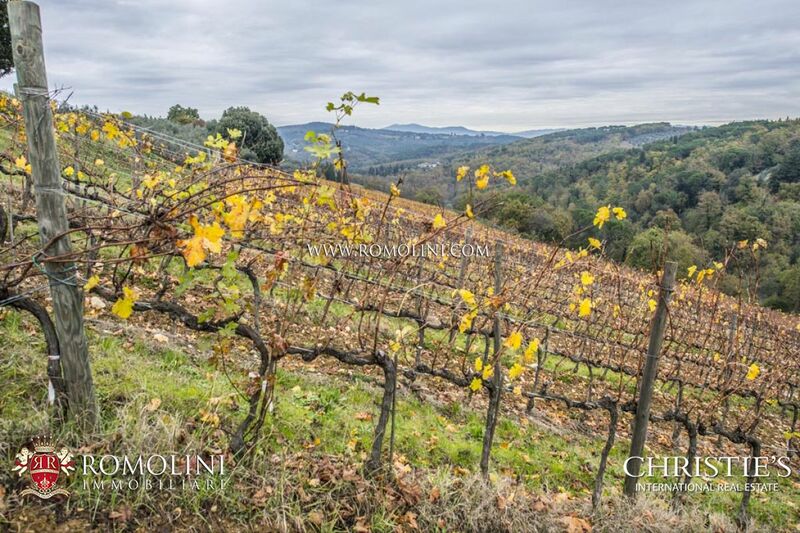 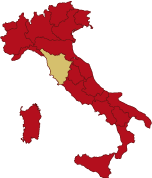 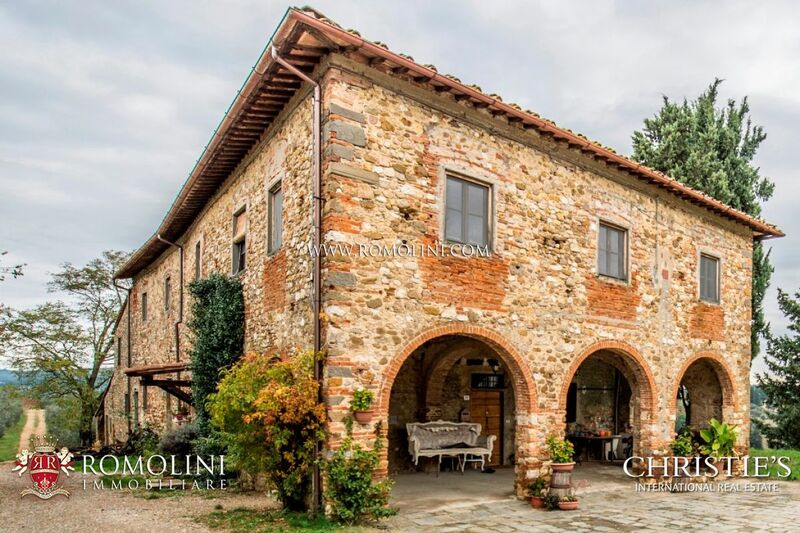 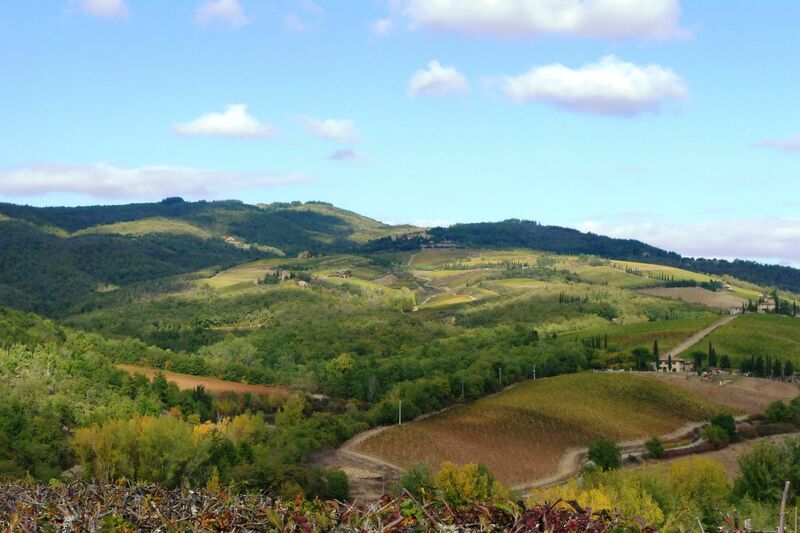 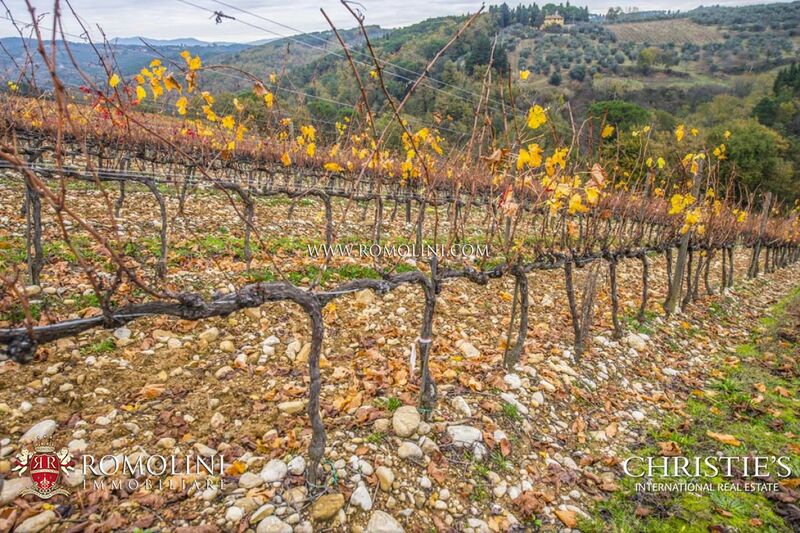 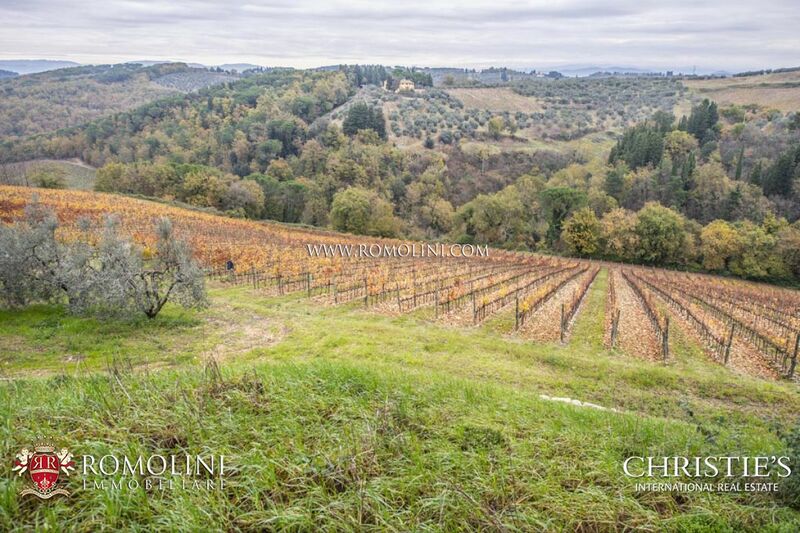 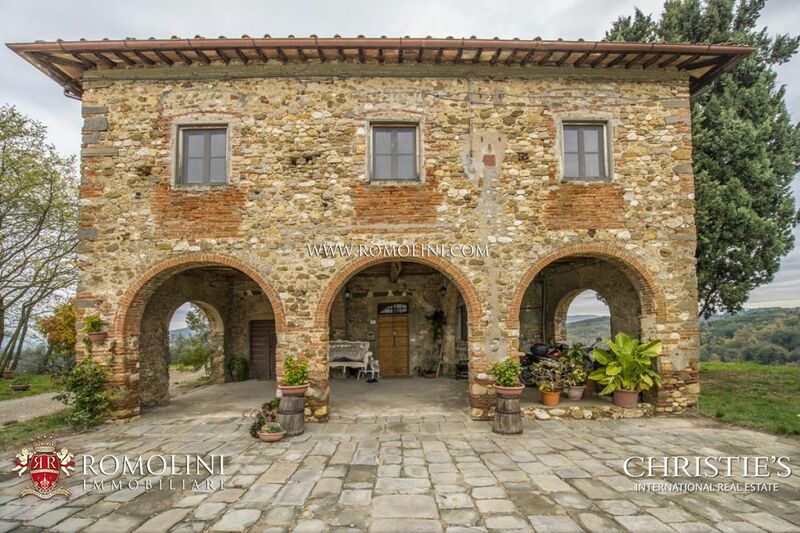 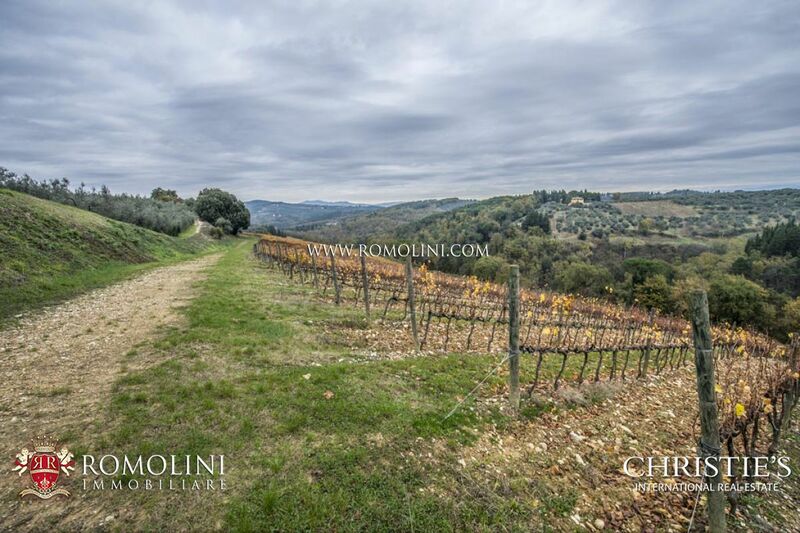 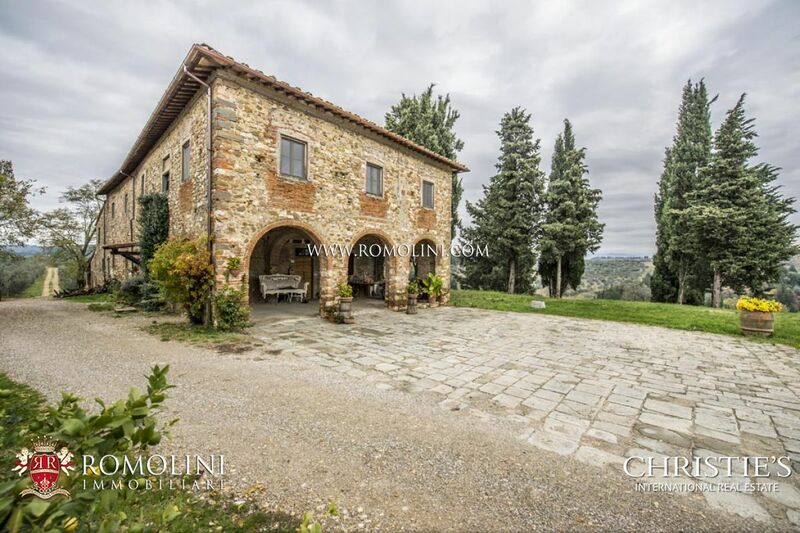 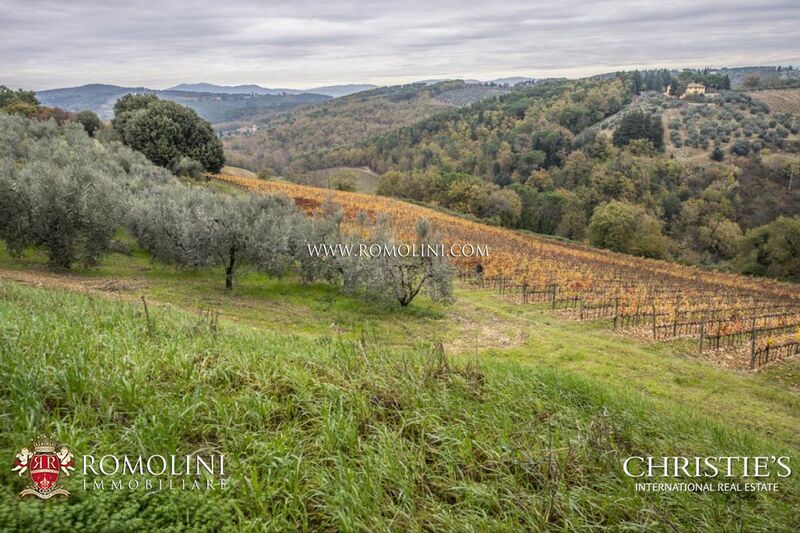 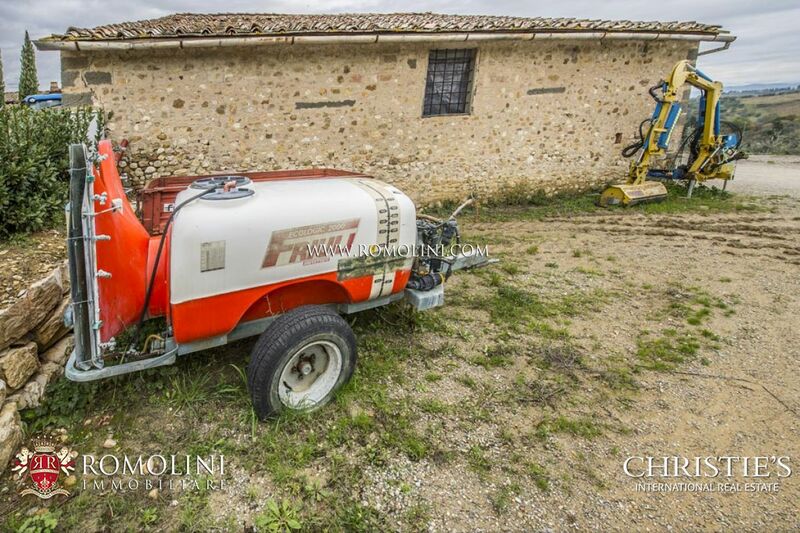 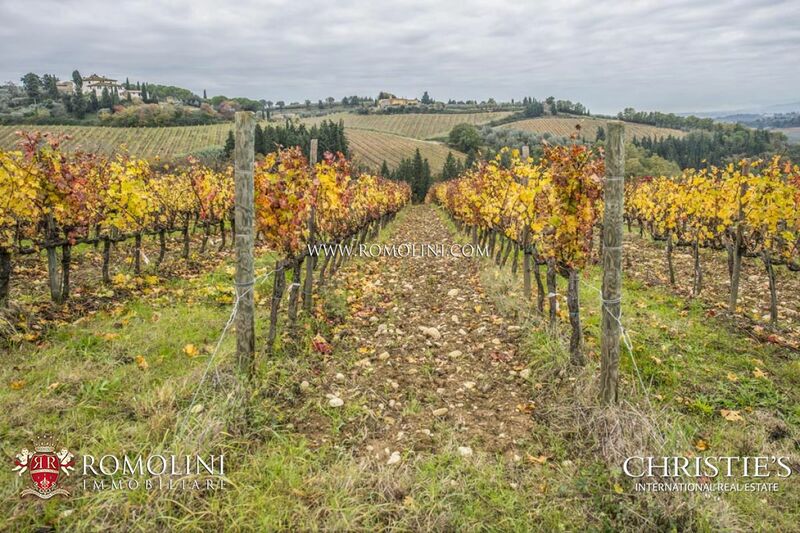 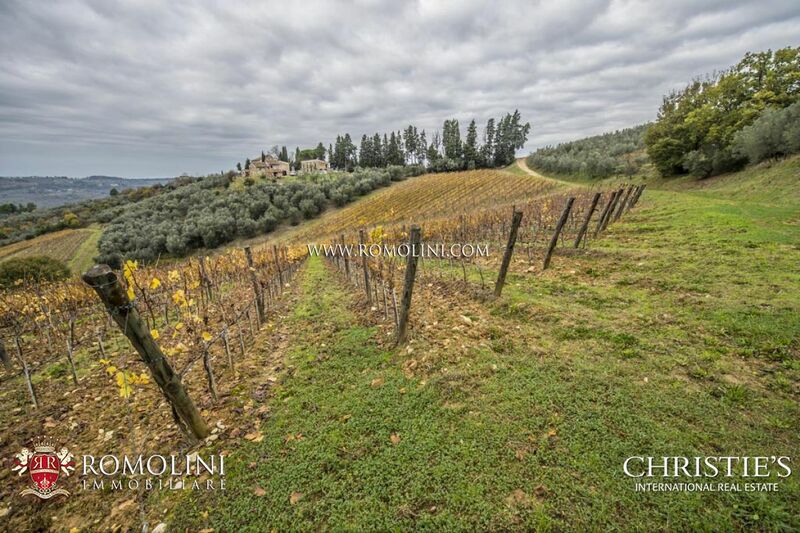 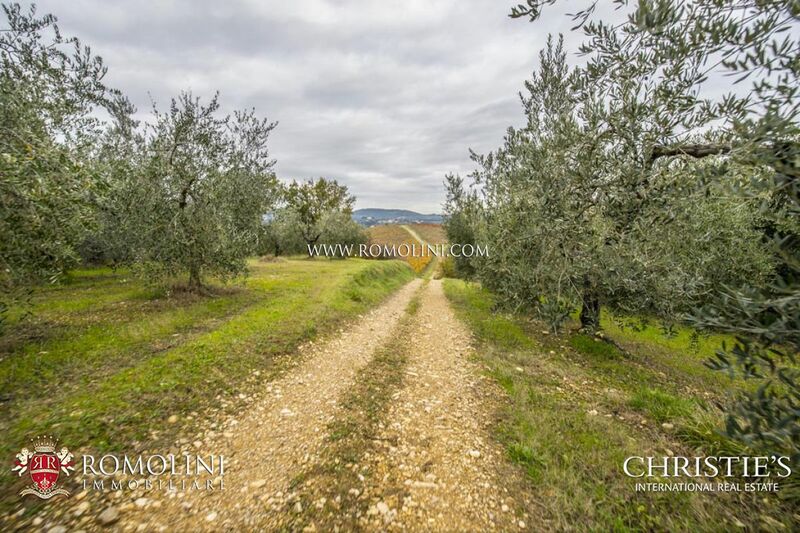 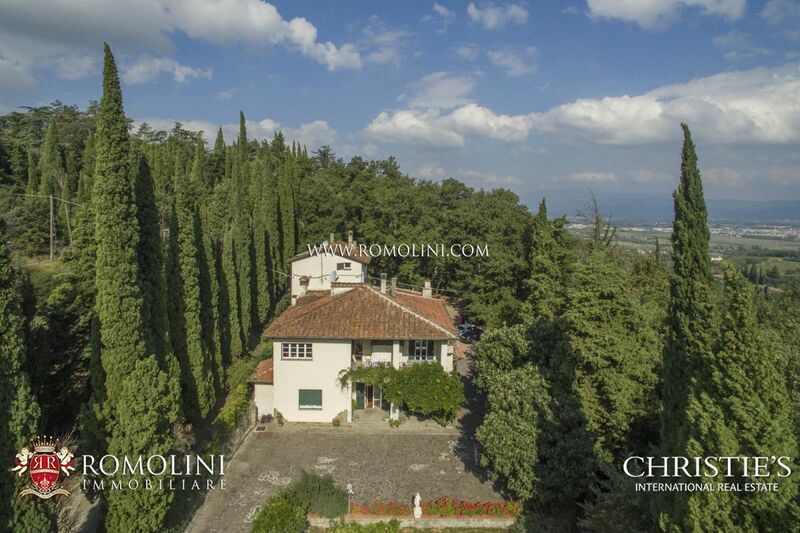 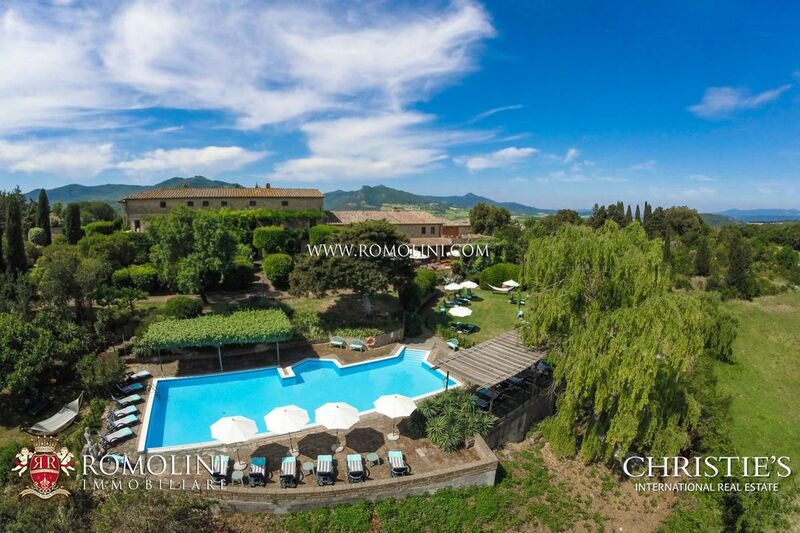 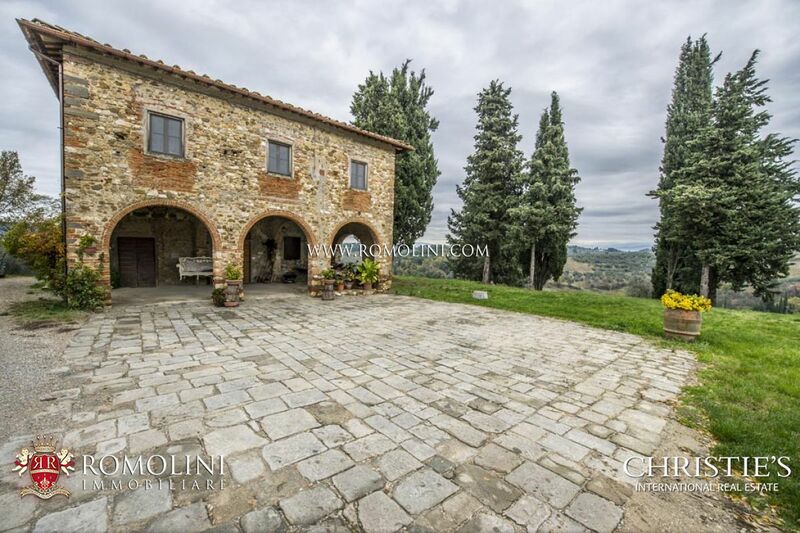 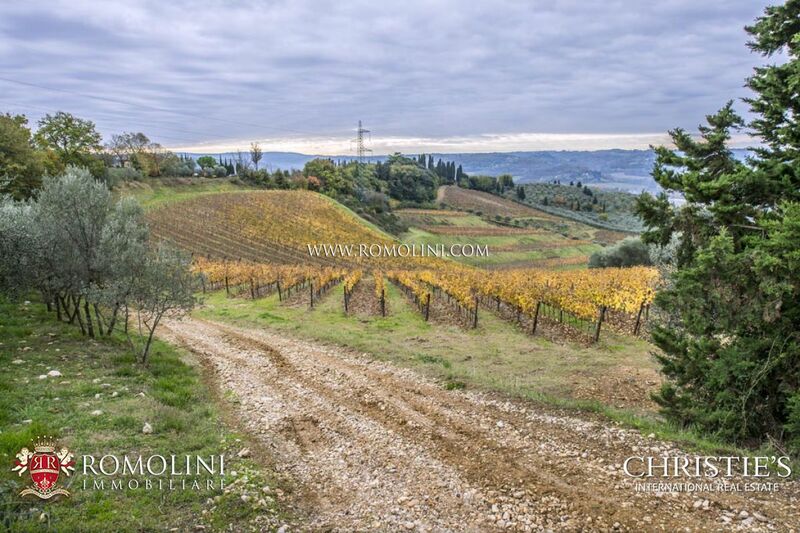 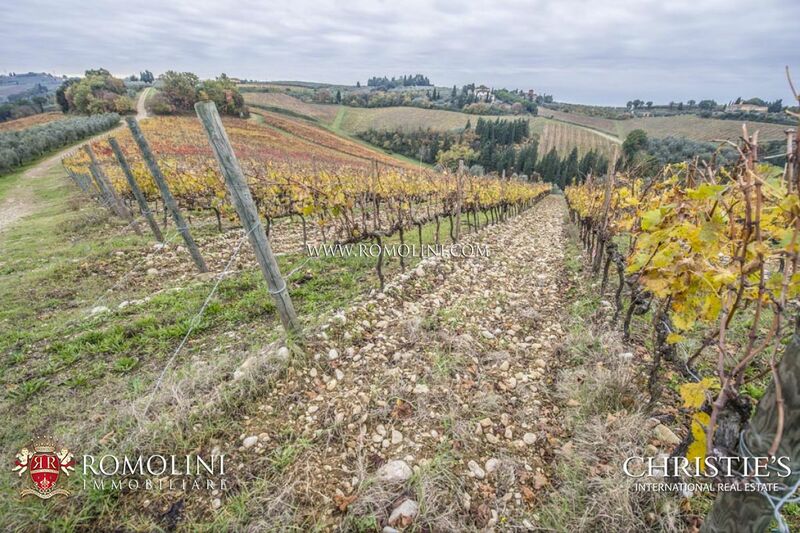 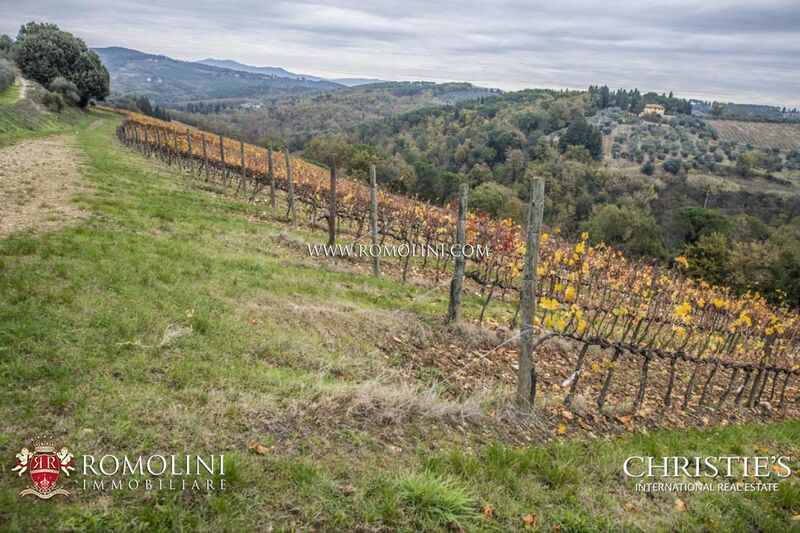 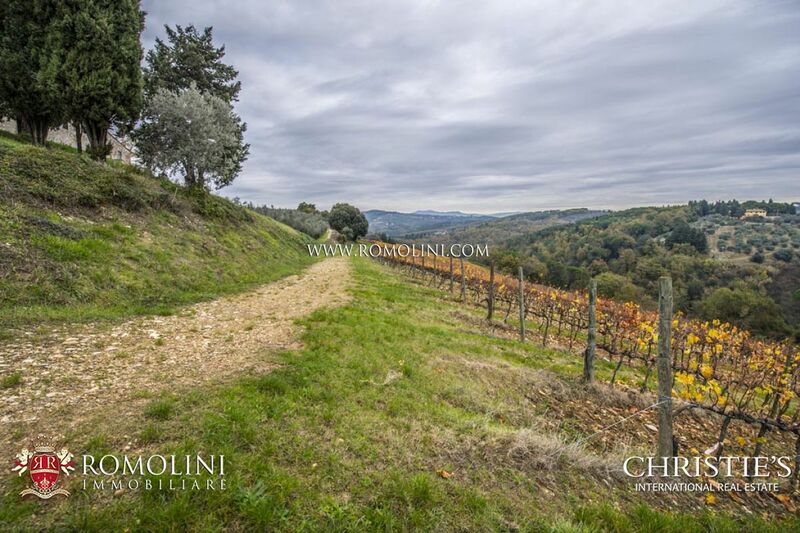 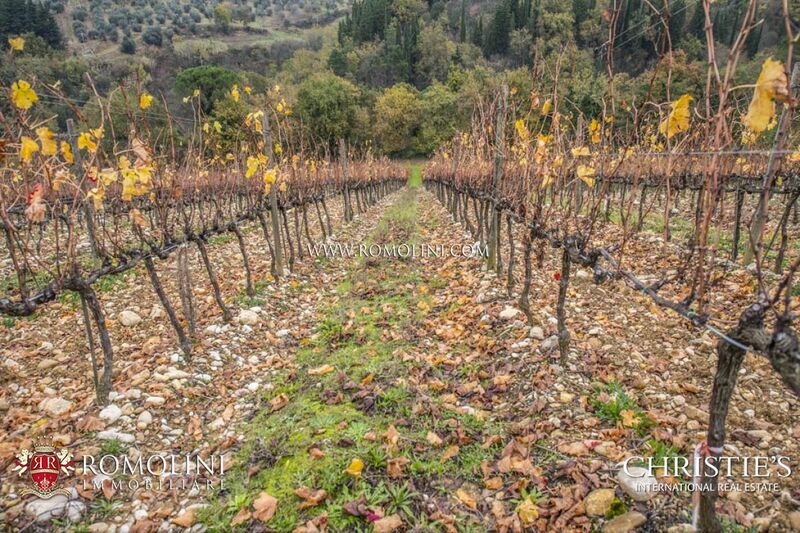 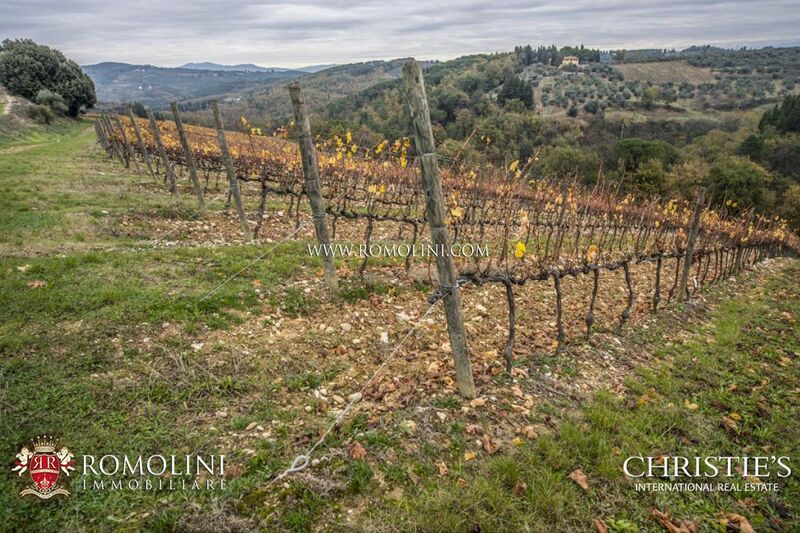 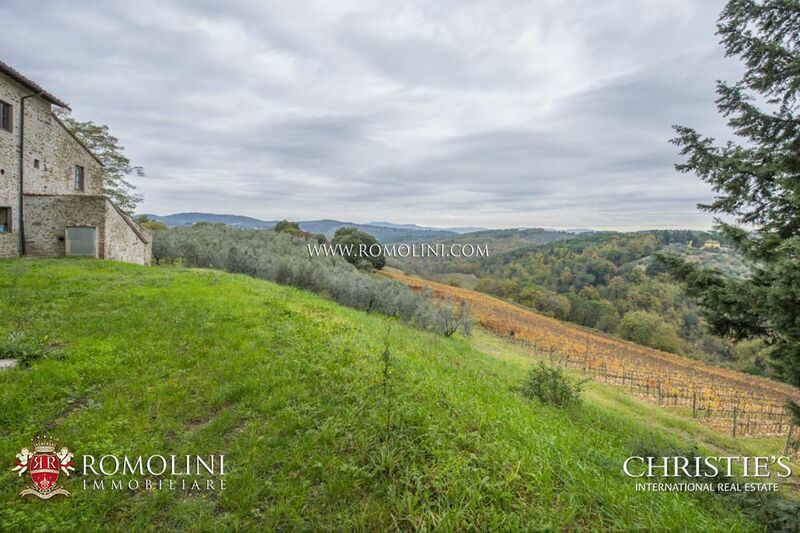 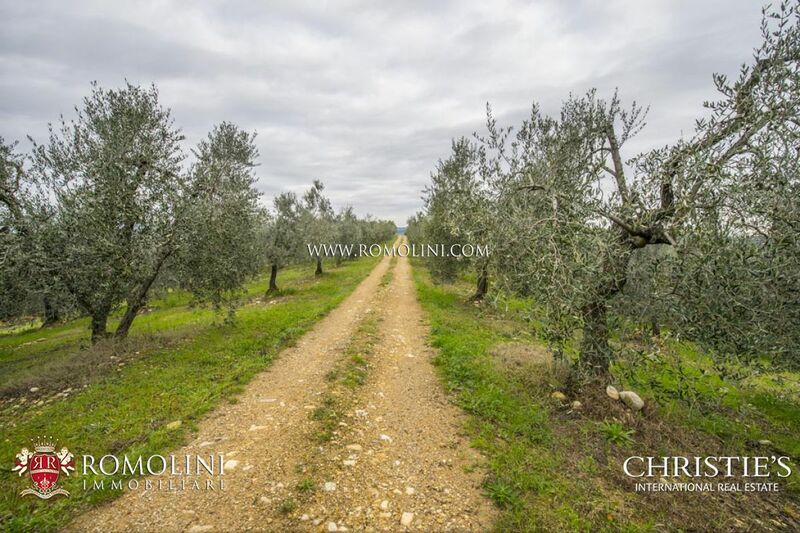 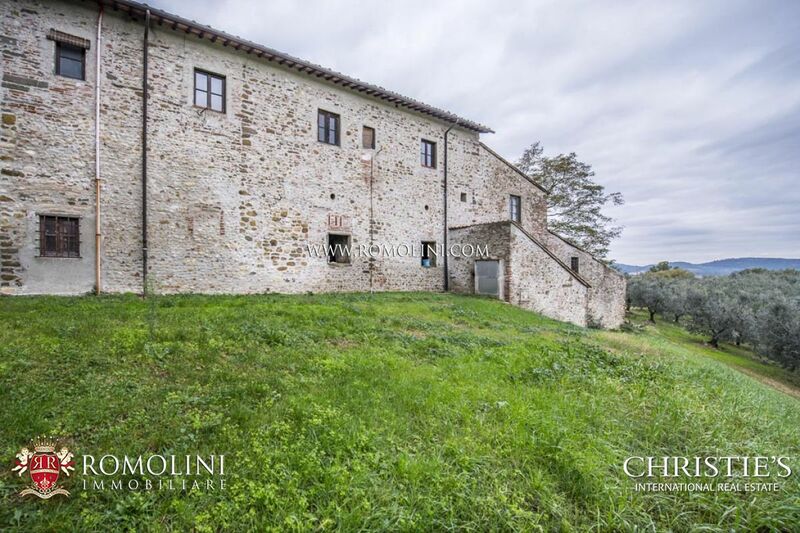 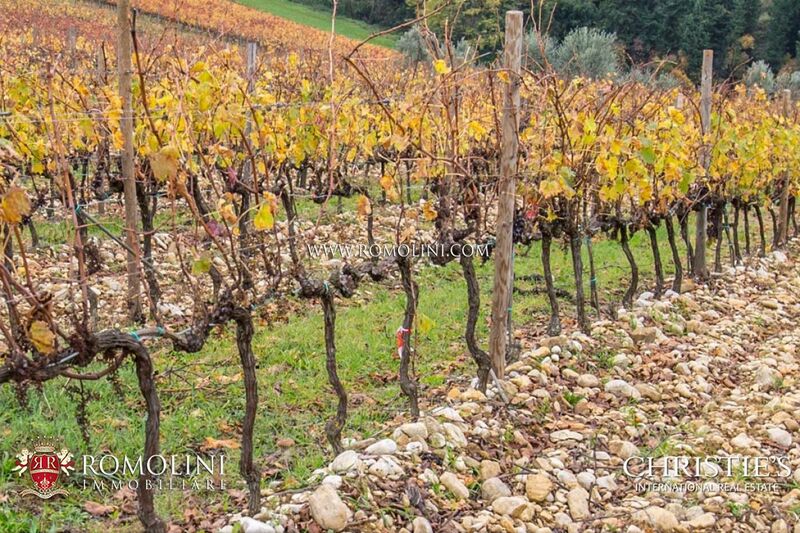 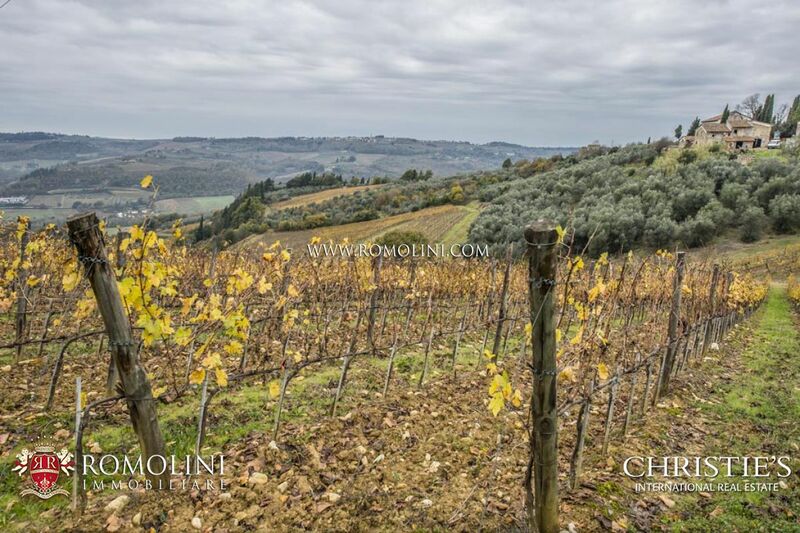 This farm is located in the Chianti Classico, just 17 km far from Florence and it’s excellently connected to the most important cities thanks to the vicinity with the freeway Florence-Siena. 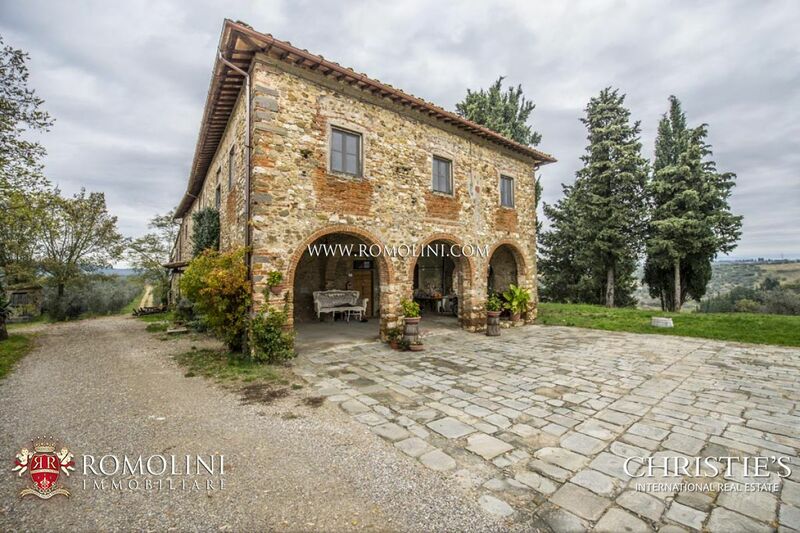 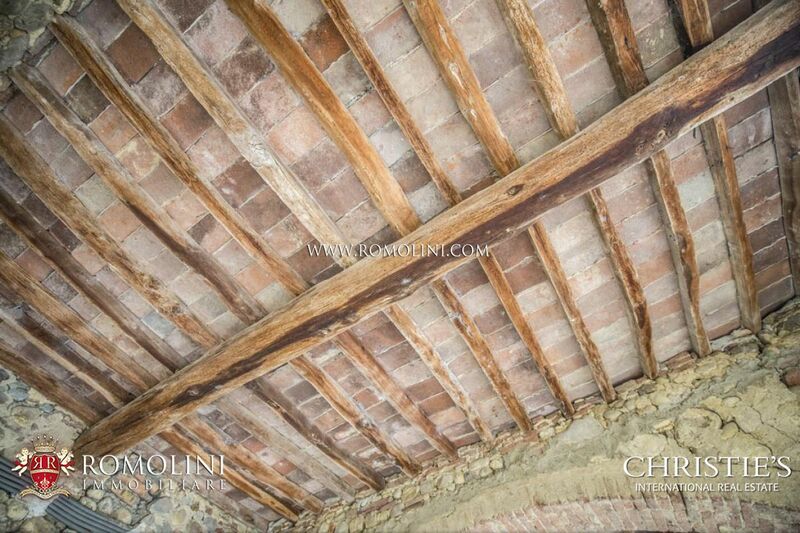 The property encompasses two stony edifices to restore, which maintain the typical features of the rural architecture. 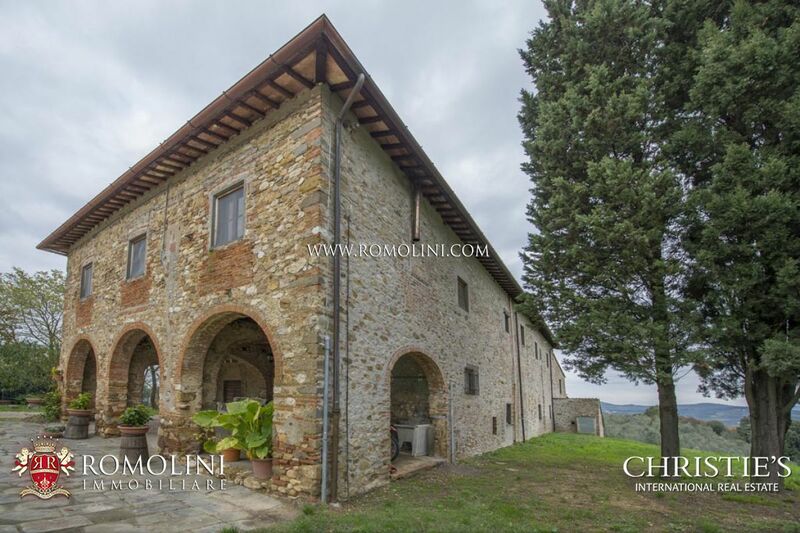 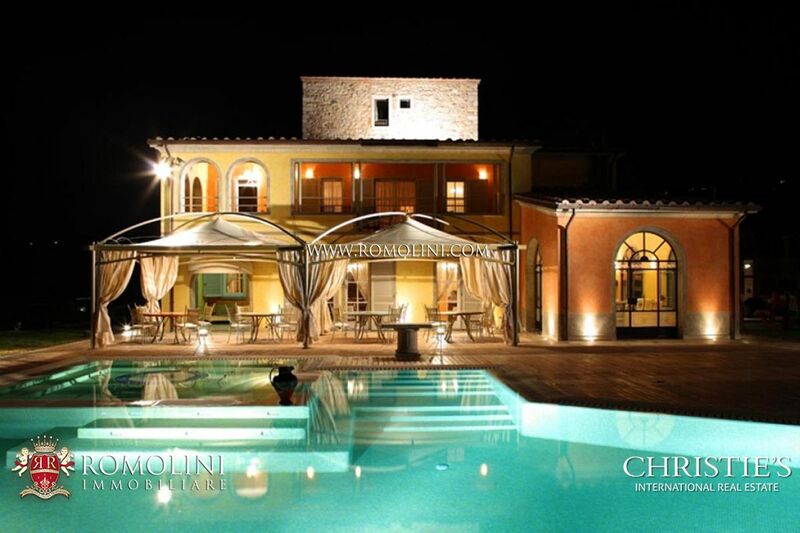 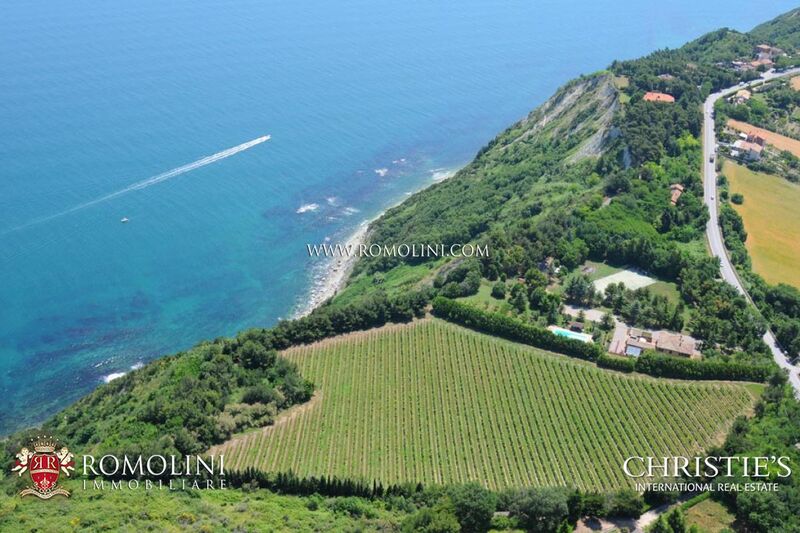 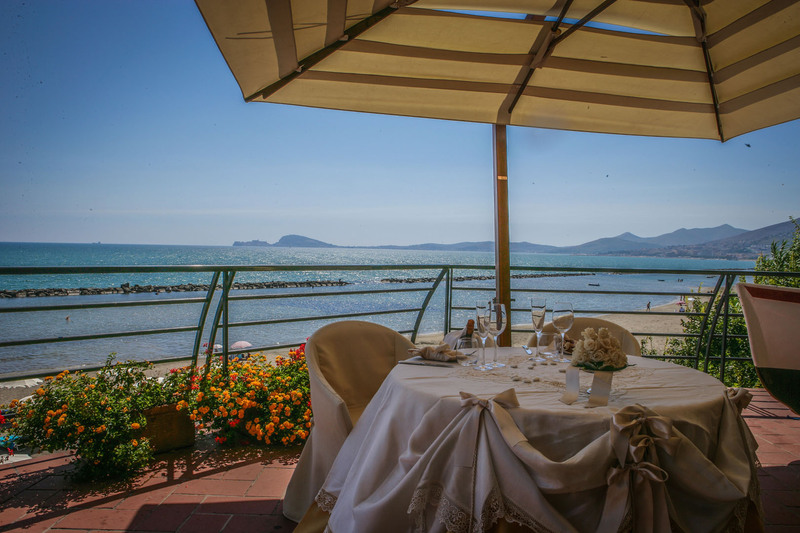 The main building (800 sqm), on two levels, is divided into three units and is predominantly designed to be a house. 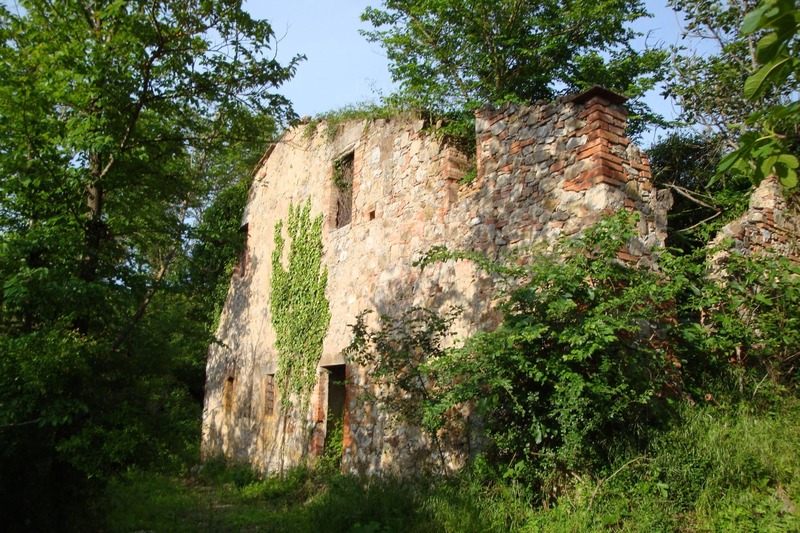 Some locals, on the ground floor, have an agricultural use. 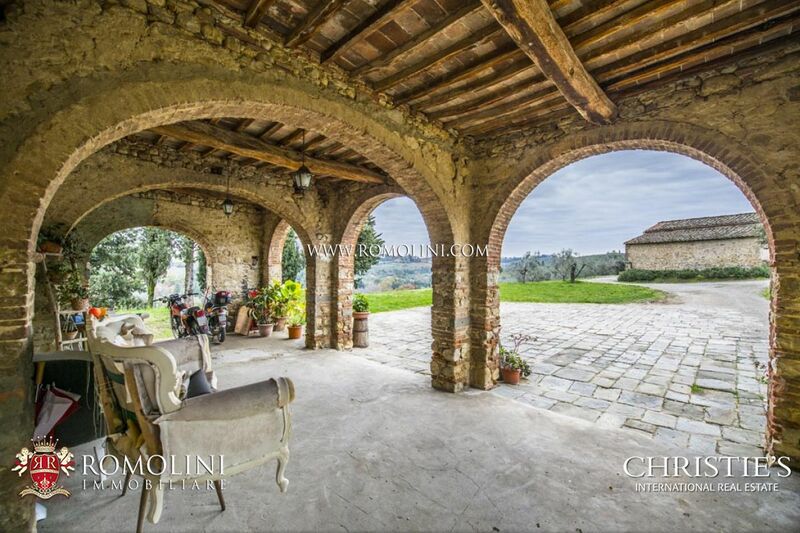 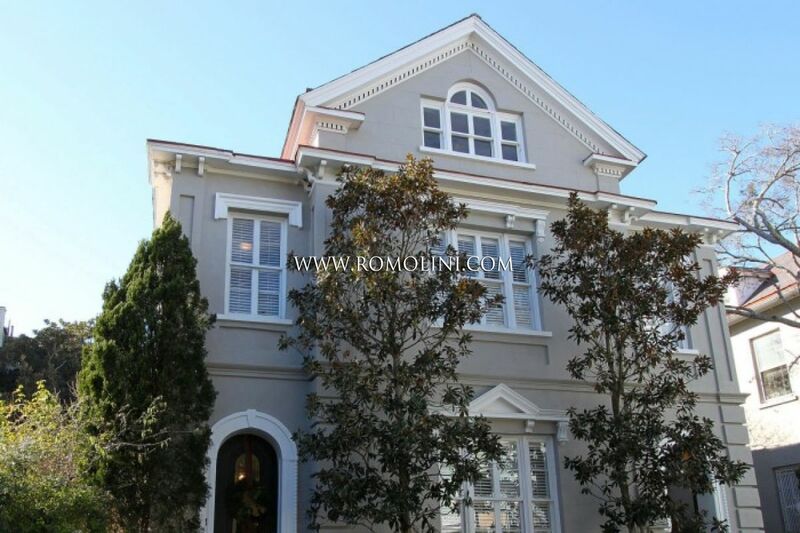 On the façade opens a beautiful porch with three beautiful brick arcades. 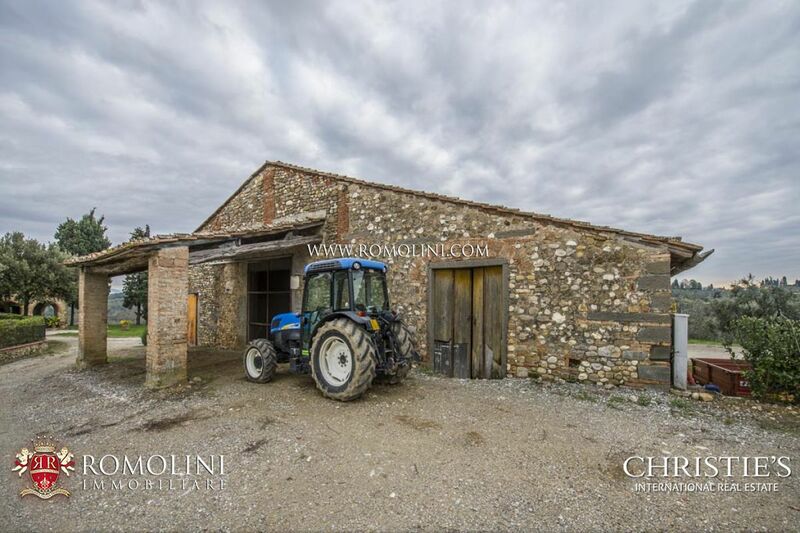 The second building (280 sqm), in front of the first and joined to it by a large paved court, is currently used as store and shed for agricultural machines. 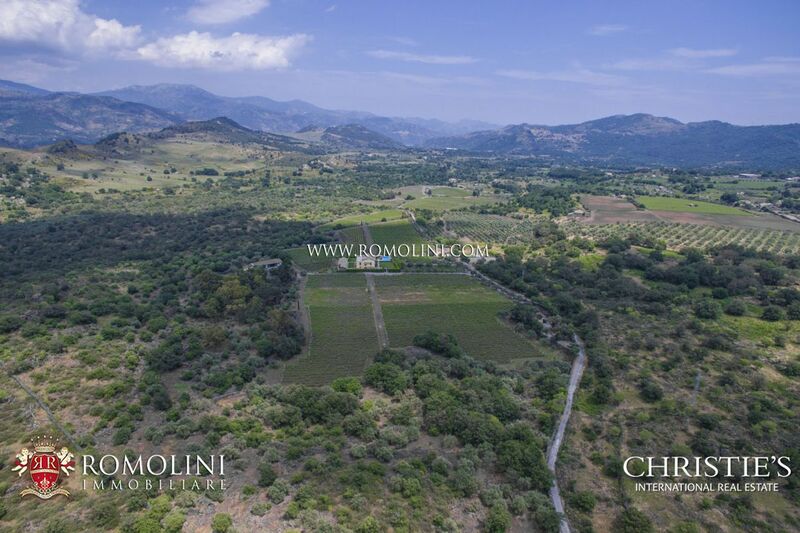 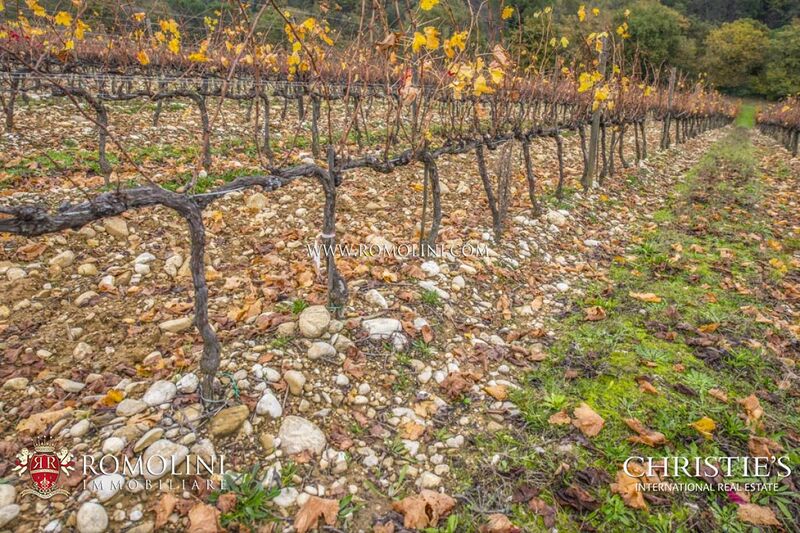 The farm obtained the approval for an Agricultural-Environmental Enhancement Program which could allow the construction of a winery.